Hello everyone. Hope you all are having a great weekend. It's Saturday and that means it's time for another Sweet Stop Sketch. 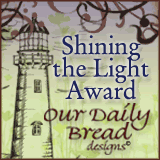 designer paper, butterflies, and border strip - K & Co. Abrianna Collection; DCWV cardstock; Serenity Verve stamp set; Our Daily Bread Designs scripture stamp; Old Olive ink, Very Vanilla cardstock - Stampin' Up! ; Antique Linen distress ink - Ranger Industries; Cricut Expression and Lacey Labels Cartridge. 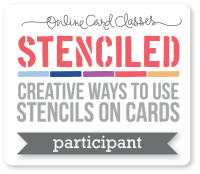 Join us at the Sweet Stop to play along and link up your creation! Have a blessed weekend! Jennipher, this is just breathtaking. I love the stamped image over the words - it gives it such a nice texture. ANd the papers! Fabulous! I like your new blog look, too (at least I think it looks different from the last time I was here, lol! Blessings! hon, i love your card! wonderful shapes, colours and papers! Hope you have Terrific Weekend Lady! 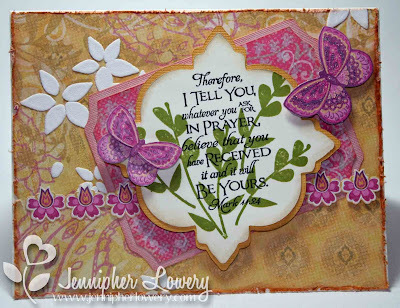 Your card is fabulous, Jennipher...love the colors, the over-stamped sentiment, and butterflies! 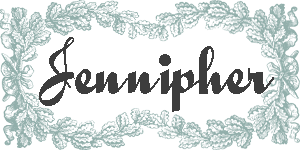 Your new blog look is gorgeous also! Beautiful colors on your sensational card! Love those butterflies. Lovely card. Another absolutely gorgeous card my friend!! The colors and butterfly details are so pretty. Very pretty Jennipher!! LOVE those butterflies they are gorgeous!! I paper behind my cocoa image on today's card that you asked about is from the Bittersweet Basic Grey pad. Hi, Jennipher! Have I told you yet that I think you are a cool ball simply because of the way you spell your name? Beautiful card!Beautiful color scheme! I am humbled to be part of this talented group of women on this DT! I love everything about this card! The colors, the dp, the butterflies, your take on the sketch -- yep, just everything. Magnificent card! This is just stunning with all of the pretty colors and butterflies! I just love how you did the sentiment panel! Gorgeous work!!! Your card is stunningly beautiful. 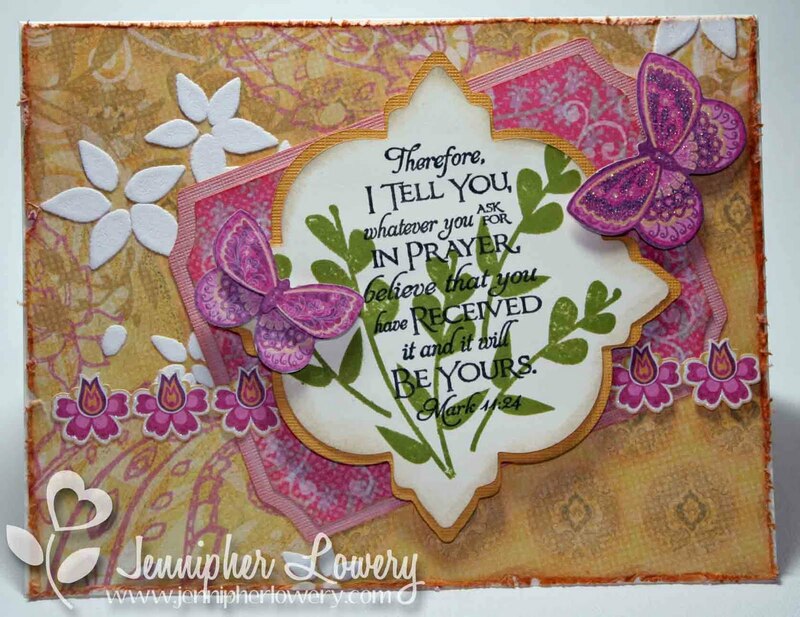 I LOVE the butterflies and the way you added background stamped behind the sentiment. It's JUST PRETTY. The colors came together beautifully. 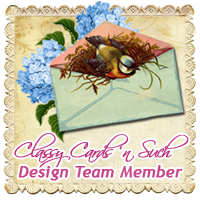 Beautiful card, love how you have the two images on one as the focal and the beautiful DP, gorgeous. 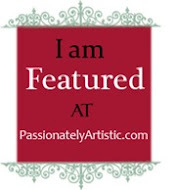 Great new look to the blog as well. WOW Jennipher this is GORGEOUS!! I love how you did your sentiment! Fantastic layers, colors and shapes!! LOVE the purple and gold tones in this card! The butterflies are so very pretty. What a gorgeous take on this sketch! I love the yellow and purple colors. This card just makes me smile! Oooh, I love the pretty papers and butterflies! Gorgeous card Jennipher! Those butterflies are beautiful and love the pretty color combo! Thanks for the inspiration! Well, I see I've missed alot in the week I've been gone!! This is a beautiful card and I just love those butterflies and the colors you used. Well done with this sketch.